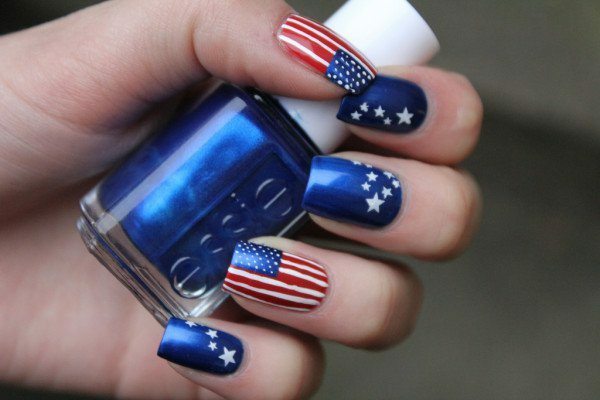 Blue nail art ideas have one of the leading positions in in today’s modern nail art. Women who follow fashion trends and want to stand out, often use it in everyday life. 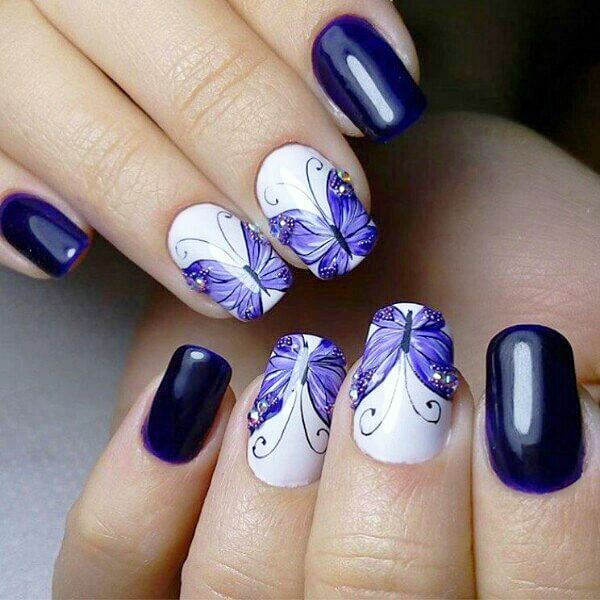 This type of nail design perfectly harmonizes with almost all shades of the skin and is also suitable for different length of nails. 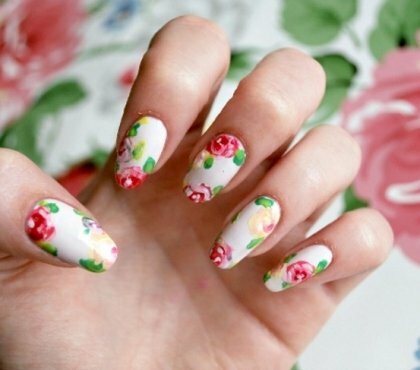 In the modern world of nail art there are so many novelties. 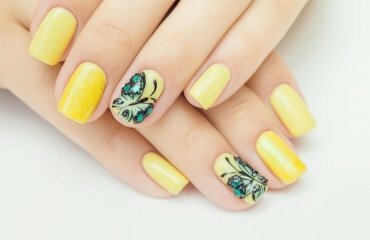 Something new appears every season yet there are manicure designs which never lose their popularity and some color palettes are always trendy. One of these classic shades is blue. It is as popular as white, black and red. These are colors that will never look old-fashioned or boring. 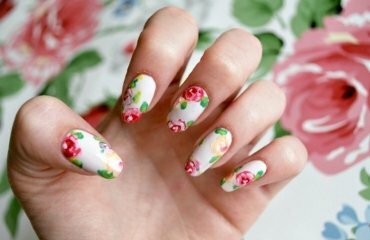 Using these colors in new styles and different nail art techniques gives brilliant results. 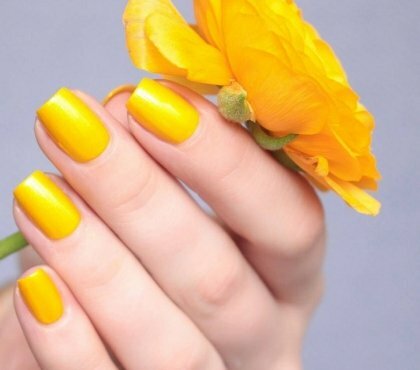 Nail designs in which this color predominates and sets the tone of the entire composition remain popular not only in nautical styled manicure, but for daily nail designs, manicure for festive events, winter nail art, etc. The shades of blue are numerous – from pastel tones to rich dark shades – they all look incredibly good. The only difficulty that women can face is to choose the right shade. 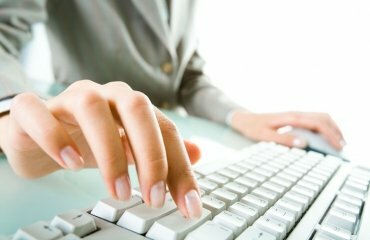 What are the advantages of a manicure in blue? On the first place, such designs have a spectacular appearance. They accent on your style, the color palette offers numerous shades and color choices, it can be combined with many other colors and looks equally good on short and long nails. 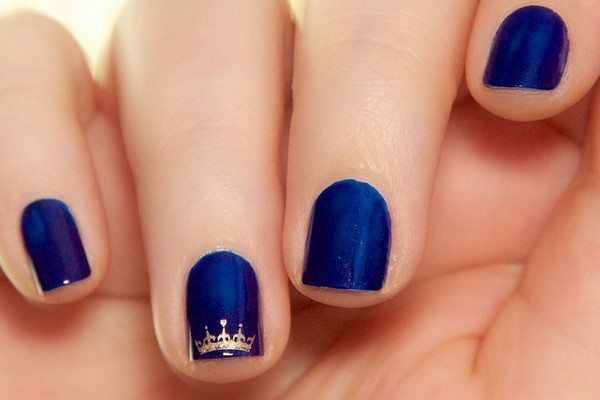 For example, a rich deep blue shade will look great on short nails, and on long ones it is simply breathtaking. In addition, the blue color always retains its luster and freshness. 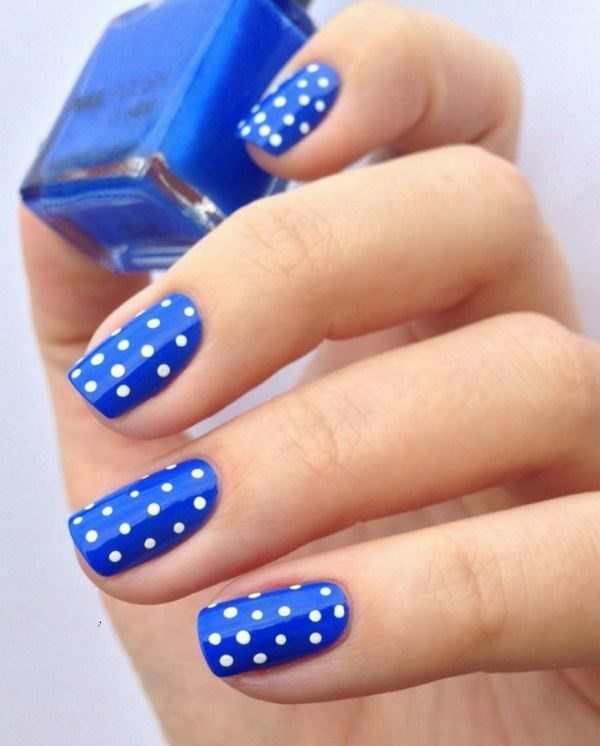 Blue nail art ideas – how to choose the right shade? 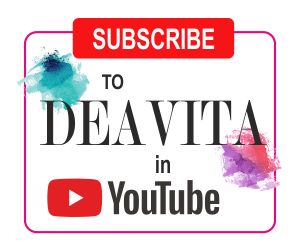 In every cosmetic store you will find a huge variety of choices and finding exactly the one that suits the shade of your skin and your image is not always as easy as it seems. 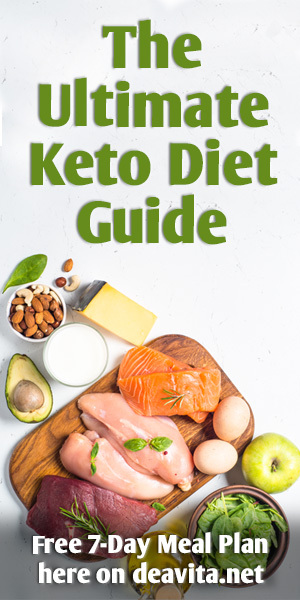 Experts advise that women with a warmer skin tone should choose warmer shades and cool tones are appropriate for girls with a cold shade of the skin. Choosing the right shade of blue for nail art is quite a challenge. Light colors are not considered as universal as dark. On pale skin, the light hues may look rather unattractive and you may not be pleased with the final result so before you buy the lacquer, try it on at least one finger. Colorful, acidic and joyful shades are especially popular for summer nails, especially light blue or turquoise. For the autumn or winter period it is better to choose darker shades. The color and the style of your clothing for the season is also something to keep in mind when choosing the right shade of lacquer. Of course, combining two colors is always a good idea and you can use different combinations – blue and white, gray, orange, red as well as silver and gold. 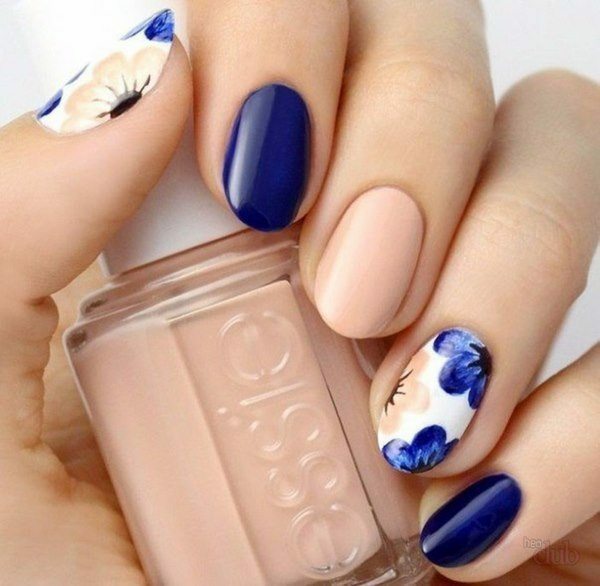 Let’s look at some of the most popular blue nail art ideas and how you can use the different shades for unique nail designs. 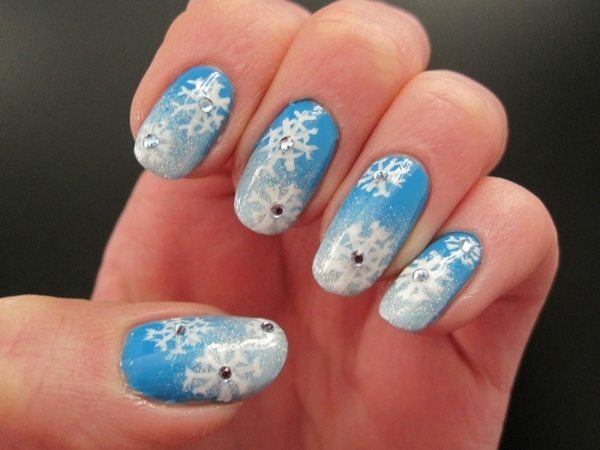 Blue and white manicure is traditional for the winter nail art ideas. 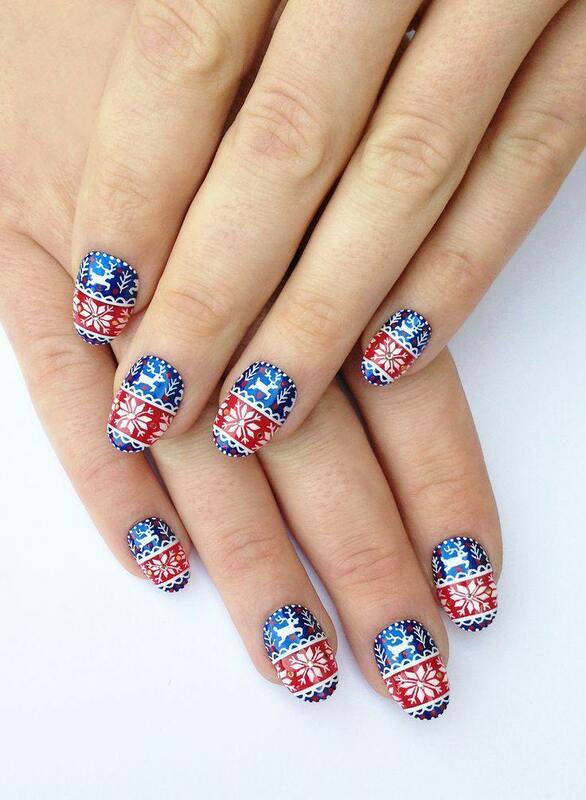 These nail designs always look festive especially if you decorate then with rhinestones or glitter. These two colors are an excellent combination which works for French and moon manicure as well. 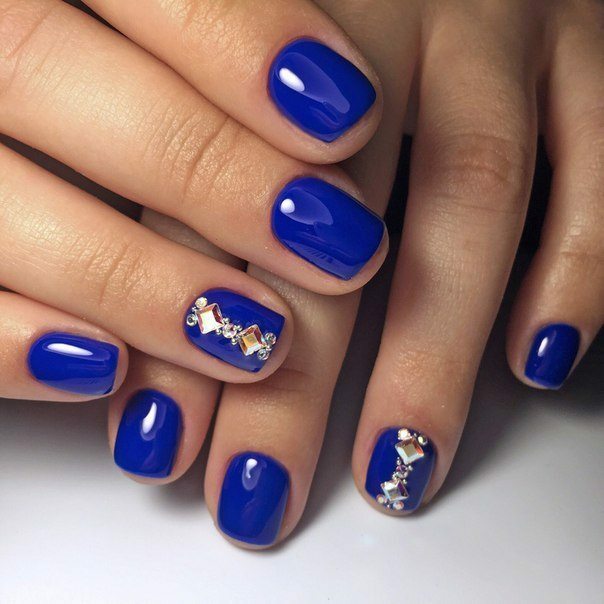 A variation of winter designs is the blue Christmas and New Year’s manicure where the color is the perfect background for snowflakes, stars, etc., while for New Year’s Eve you need some extra shine and you can add some sparkling glitter. 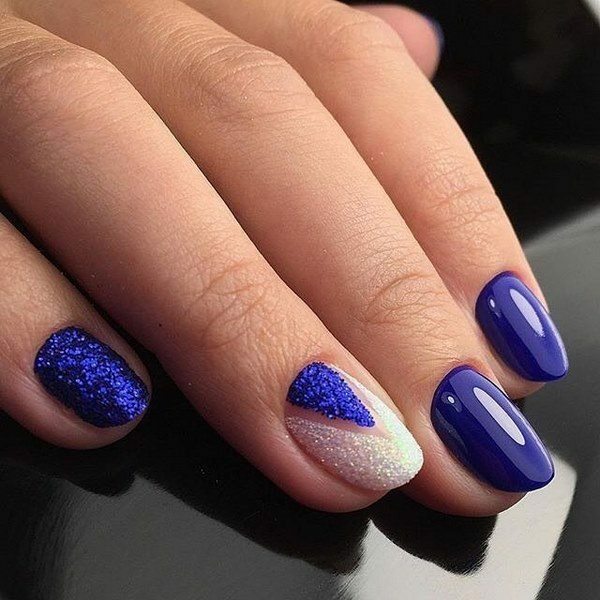 Dark blue manicure is perfect for work in the office, for parties, and it will also be ideal on the beach if you have chosen a beach style decoration. You can cover your nails with ordinary glossy varnish or you can use a matte finish. Gloss and matte finishes create an excellent harmony between themselves. For example, the main tone can be a matte turquoise tone, and the tips can have a glossy finish in the same shade. 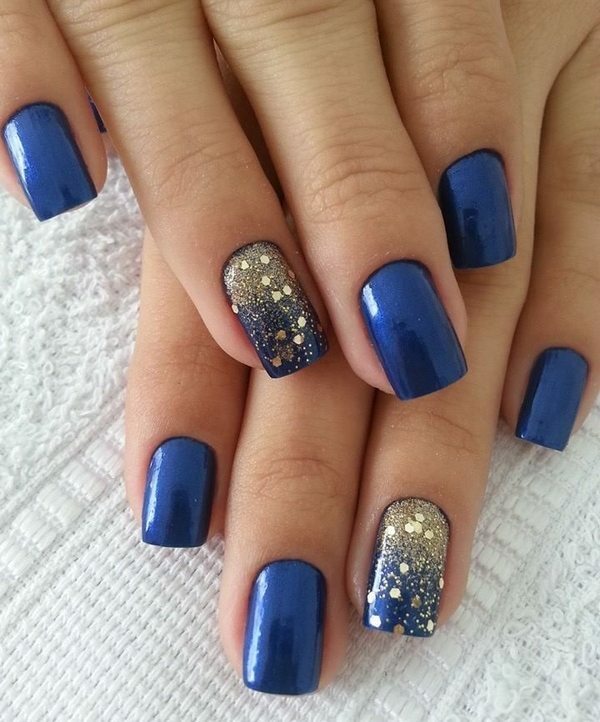 Dark blue varnish on the nails will be impressive when used as an accent color on one finger and be decorated with sequins or small (medium) rhinestones. 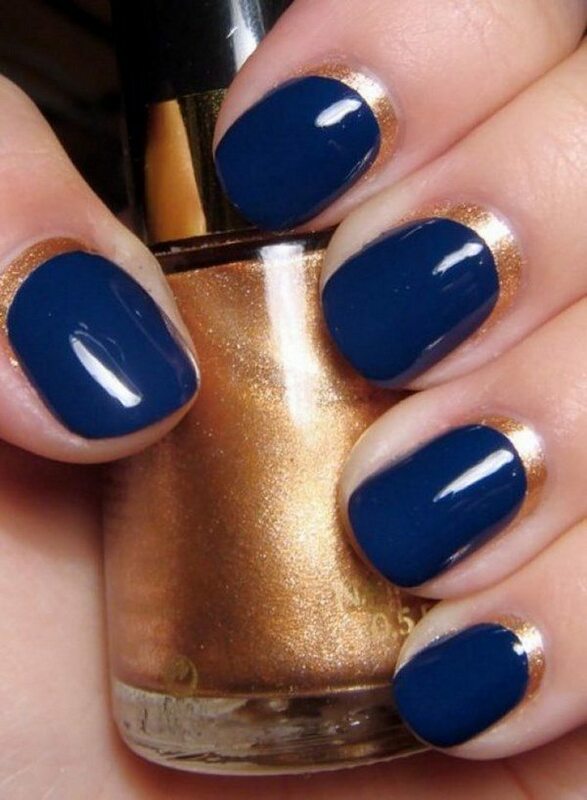 Blue and gold manicure can be something brilliant and exquisite. 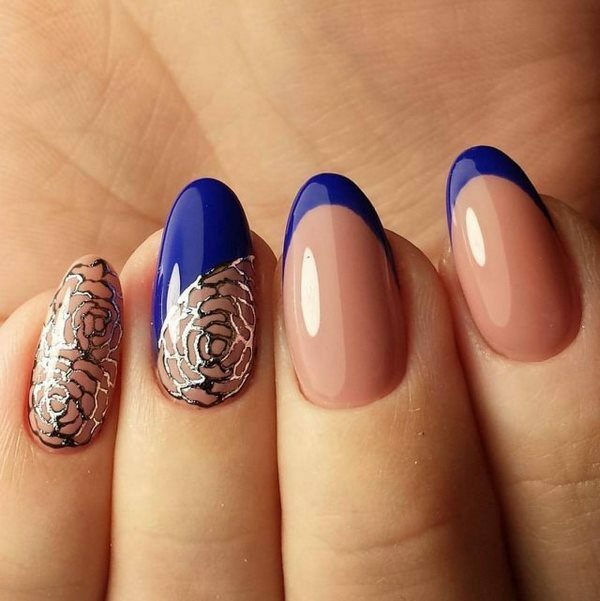 This is an exceptional combination and when the nail design is properly done, the manicure is absolutely stunning! 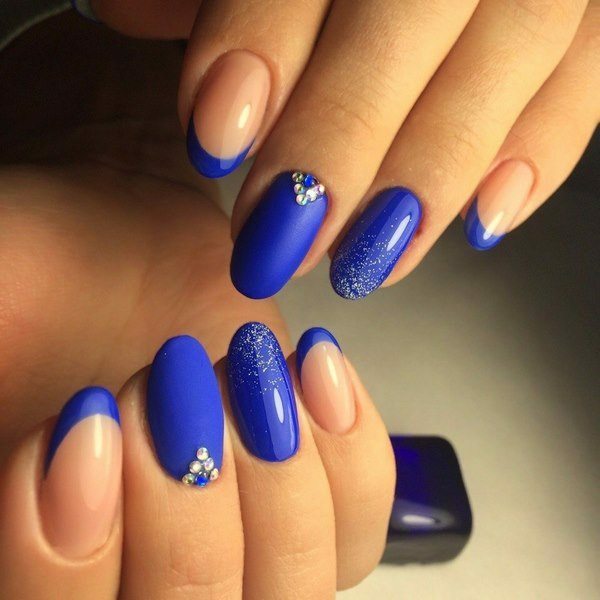 There are many options to choose from – moon nails, French manicure, you can use the blue as a base color and add gradient glitter, you can have a gold accent on one finger or use crystals and rhinestones as nail decoration for especially festive events. 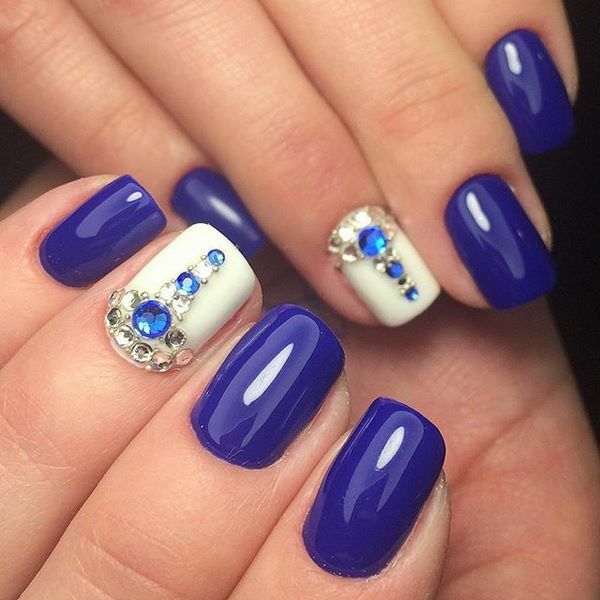 Blue French nails are versatile. 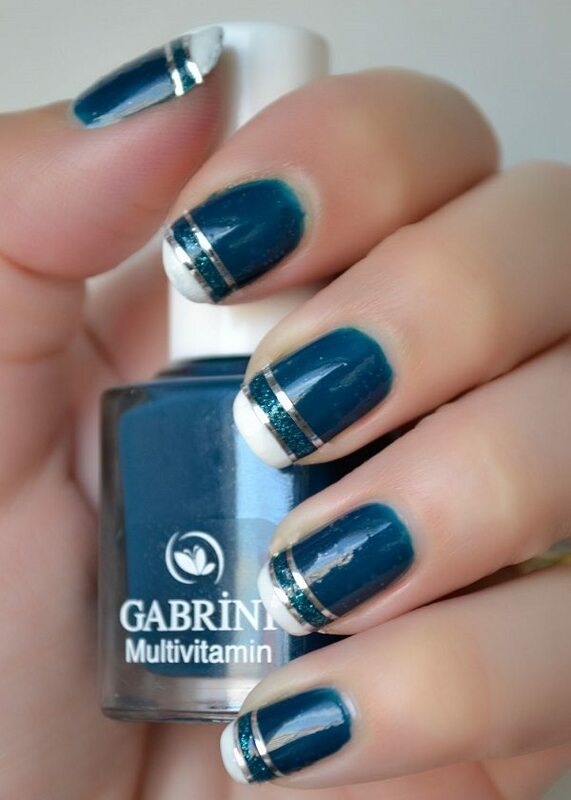 This manicure it is suitable for everyday image, and for a party, for the office and for a walk. Classic French with blue tips is very feminine and office appropriate as well. With an addition of some crystals or glitter it is immediately transformed into an evening manicure. The combination of blue and red colors will give a truly explosive effect. Red color, in itself, is incredibly beautiful and rich. These shades, in addition to working in harmony, will also compete with each other as two strong rivals and when creating a design in red and blue, it is better to immediately determine the main tone. If red is going to be the prevailing shade then it should be used as a background, and the blue details will only complete the idea. 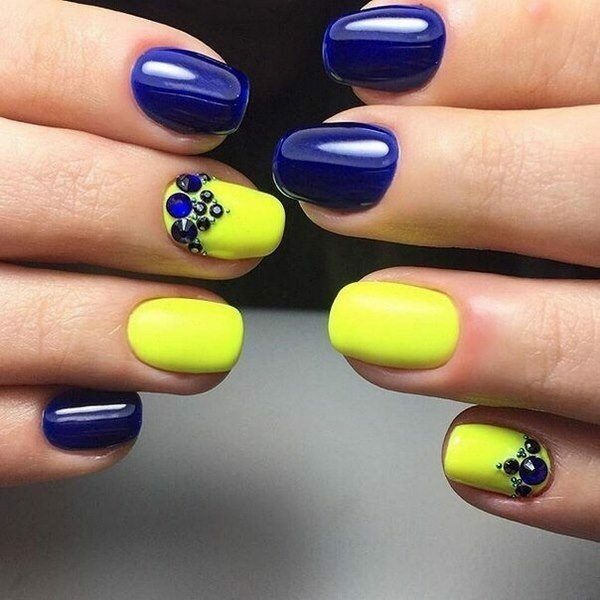 Summer nails often feature combinations of blue and yellow or orange. 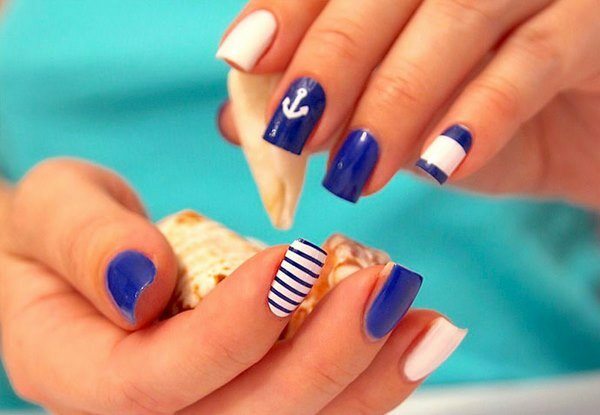 These are bright and fresh nail designs suitable for the beach or for the vacation time. 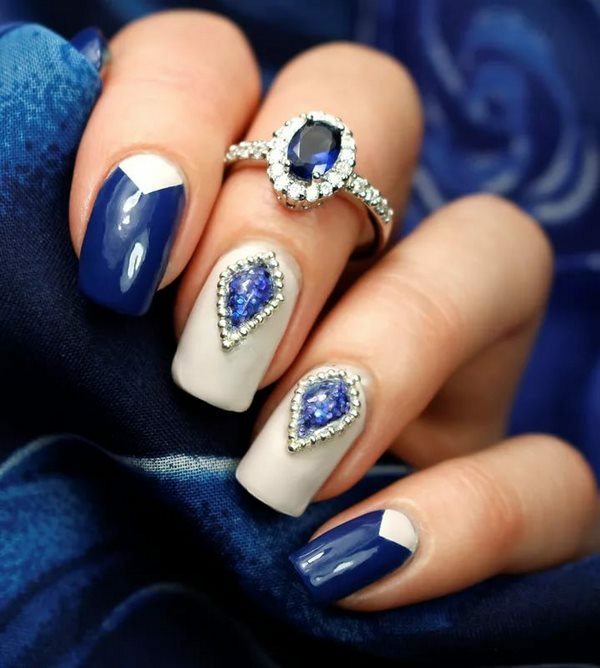 As you see – there are numerous blue nail art ideas and it is simply impossible to describe them all but we selected some of the most inspiring examples featuring unique manicure designs.